The Northern Ireland Human Rights Commission has responded to the recent report issued by the Advisory Committee on the Framework Convention for the Protection of National Minorities. 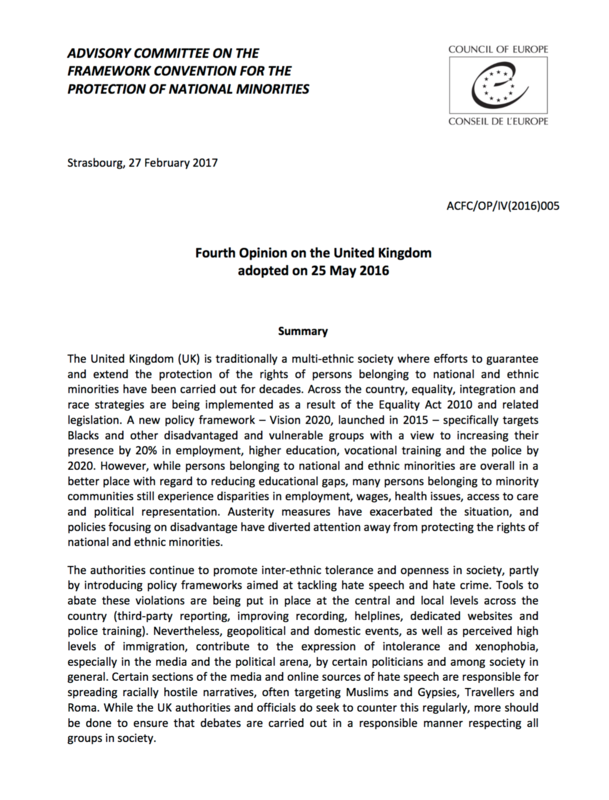 “This expert UK wide report focuses on the Protection of National and Ethnic Minorities. It makes recommendations for immediate action to be taken in Northern Ireland on Traveller accommodation, Irish language legislation and the Good relations duty under the Northern Ireland Act. The Commission has continuously engaged with this Committee and highlighted the gaps that exist in Northern Ireland on these issues and others including tackling hate crime and implementation of the Ulster Scots Strategy. 3. Endeavour to implement the ‘good relations’ duty as provided under the Northern Ireland Act 1998 in a manner that does not run counter to the equality duty and that does not prevent access to rights of persons belonging to all national and ethnic minorities.